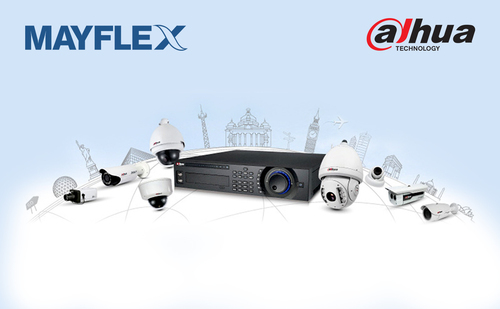 February 2018, Mayflex, the distributor of Converged IP Solutions, is working with Dahua Technology to deliver an informative series of short seminars that will look at providing an update on their latest product range with live demonstrations. Each session will also look into system/network design, bandwidth and storage, selecting the appropriate products to meet individual user requirements and how to maximise the key features and benefits, helping delegates to position and sell Dahua. Delegates will also have the opportunity to take a short tour of the M-Tech product demonstration suite located at each of the venues. The tour taking place at the Mayflex HQ in Birmingham will also include the specialist support services facility where a range of services are conducted including the pre-staging of IP devices, product labelling and the pre-termination of copper and fibre products. The Mayflex and Dahua teams will work together to deliver these sessions at Mayflex offices in Birmingham and Scotland during March and St Neots, Cambridgeshire in May. If you would like to register for one of the roadshows taking place on the 16th March in Birmingham (am and pm sessions) 28th March in Scotland and the 16th May in St Neots visit https://www.mayflex.com/events.